The recent Federal Court of Appeal delaying approval of the Trans Mountain Pipeline Project coast has put the B.C. spill response in limbo. The proposed pipeline expansion project would see an oil pipeline expansion from Alberta to the British Columbia coast. The Federal Court of Appeal denied approval of the project pending greater consultation with indigenous communities and greater need for mitigating environmental risks. The oil spill response plan, as part of the Trans Mountain Pipeline project, is to build six new spill response bases along B.C.’s coast that would be the home port of 43 new spill response vessels and 120 new crew members. Map of proposed Trans Mountain Pipeline Expansion Configuration. The oil spill response plan is to be funded, in part, from a $150 million that is to be collected by Western Canada Marine Response Corp. (WCMR Corp.) from tolls for use of the expanded pipeline. WCMR Corp. is an industry-funded organization tasked with responding to and cleaning up spills along B.C.’s coast. When the project gets approval for construction is uncertain. The federal government is considering a number of options including appealing the Court decision and enacting legislation. The delay in building additional pipeline capacity from the Alberta oil sands has resulted ins an increase in rail shipment of oil. More than 200,000 barrels of oil are now carried by rail in Canada each day, up from less than 30,000 in 2012. In 2017, Canadian crude oil supply grew to 4.2 million barrels a day — exceeding total pipeline capacity leaving Western Canada. As a result, a record-setting volume of oilpatch output is now moving by rail to refineries in the U.S. If the proposed spill response enhancements are built, the response to an oil spill on Canada’s west coast will be reduced from six hours to two hours for Vancouver Harbour and down from 18-72 hours to six hours for the rest of the coast. For many years, the natural mineral known as asbestos was used in constructing buildings, insulation, roofing, and homes. Asbestos is heavily regulated in the United States today, but many people are still exposed daily to asbestos containing materials (ACMs) that still exist in buildings, structures, and homes. 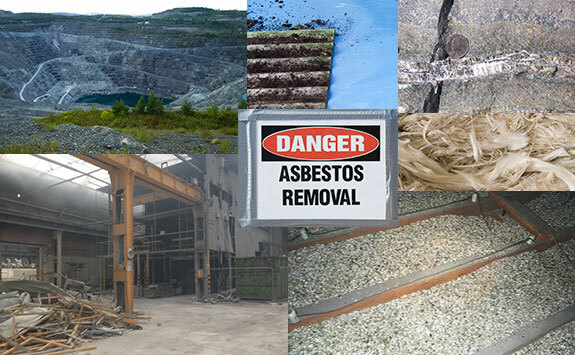 During demolition, DIY, or renovation projects, asbestos can become friable and people are then susceptible to inhaling the small fibers. When asbestos becomes lodged in the body, specifically in the lining of the lungs, abdomen, or heart, it can lead to lung cancer or mesothelioma. Even though the use of asbestos has decreased dramatically in the United States since the late 20th century, mesothelioma is still the leading occupational cancer. This is because the disease can take up to 50 years to develop, and those who were exposed to asbestos prior to the 1980s are still being diagnosed today. On top of that, professionals who work in different industries that have a history of asbestos use, such as construction, manufacturing, and shipyard work, are still at risk of exposure they may come into contact with materials and products made before regulations were put in place. Due to the microscopic size of asbestos fibers and ambiguity around where the toxin could have been used in the past, it’s important for workers to stay educated on where asbestos might be hiding and what safety precautions to take on the job. Construction Workers– Because asbestos was used heavily in the construction of homes and other buildings, many construction workers have been exposed to asbestos, and they are still at risk for exposure. With ACMs still existing in buildings, approximately 1 million construction workers could still be vulnerable to asbestos annually. Today, professionals in the construction industry are at risk for first-hand exposure more than any other profession. Workers in multiple trades including roofers, carpenters, electricians, and masonry should be aware of asbestos as they work. In order for workers to protect themselves, professionals in these fields should take the precaution of wearing the proper masks during any type of construction project. Understanding the age of the building and what asbestos looks like is also important because this could help workers know the risks associated with a certain structure, making them less vulnerable to exposure. Keep in mind that asbestos can exist in a variety of products including drywall, shingles, ceiling tiles, and insulation, so even those participating in DIY projects should be aware of where their health and safety could be at risk. 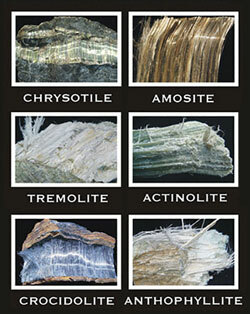 Firefighters– Asbestos fibers can be released into the air when a building or home catches on fire. This puts first responders like firefighters in danger of inhaling the toxin in the process of putting out a fire. This leaves firefighters at risk to develop peritoneal mesothelioma, which originates in the lining of the lungs after being inhaled. While the initial danger to firefighters is the fire itself, even after the flames are put out, asbestos could be present in the air as the structure cools off. Firefighter equipment is designed to keep out hazardous materials like asbestos, but many people do not understand that certain risks persist even after the initial fire is put out. Asbestos fibers can attach to clothing, leading to the possibility of second-hand exposure for those who might come in contact with any type of clothing used at the scene of the fire. In order to limit exposure to asbestos particles, firefighters should wear a certified self-containing breathing apparatus (SCBA) mask that covers the mouth and nose in order to protect themselves while on the job. They should also keep masks on even after the fire has been put out while debris is cooling, because asbestos fibers could still be in the air. To eliminate risks of exposure for family, friends, and colleagues, firefighters should also remove their gear before leaving the scene and wash off before returning home. Shipyard Workers– At one time, asbestos exposure was a large risk for laborers and those employed on ships. Due to the mineral’s strong and heat resistant attributes, was often used for things like boilers and steam pipes on Navy ships and shipyards. As a result, many shipyard laborers were exposed to asbestos, especially if they worked as electricians, painters, machinists, or “asbestos insulators.” This is one of the reasons veterans make up about 30 percent of mesothelioma diagnoses in the United States. Shipyard workers are less likely to be exposed first-hand to asbestos today, but anyone working with older shipbuilding materials or piping should be aware of the possible risks and wear the appropriate masks to limit inhaling fibers. Workers who have been exposed in the past should let their primary care doctor know and stay up-to-date on appointments. Symptoms of mesothelioma specifically can often go undiagnosed because they are similar to symptoms of the flu, manifesting as a cough at first and eventually leading to shortness of breath and fever. If you know that you have been exposed, paying careful attention to your health and communicating with your doctor could lead to an early diagnosis, improving prognosis and life expectancy. If you come across asbestos on the job, contacting a professional who knows how to handle the material will be the best way to move forward. No amount of asbestos exposure is safe, and handling the mineral should be taken seriously before proceeding with a project. Mesothelioma is a deadly but preventable cancer, if the correct steps are taken by employers and employees. Although asbestos has been heavily regulated over time, there is still not a ban on the material in the United States. Taking the time to check labels before using any products and educating others in your industry on how to protect themselves are sure ways to help bring an end to mesothelioma and other health issues caused by asbestos. On September 4, 2018, Ontario’s Divisional Court released its decision in Hamilton Beach Brands Canada, Inc. v. Ministry of the Environment and Climate Change, 2018 ONSC 5010, dismissing an appeal of a September 1, 2017 decision of Ontario’s Environmental Review Tribunal (Hamilton Beach Brands Canada Inc. v. Ontario (Environment and Climate Change), 2017 CanLII 57415 (ON ERT)) in which the Tribunal upheld the Ministry’s jurisdiction to order current and former owners and tenants of a contaminated property to delineate contamination that has migrated to off-site properties. The Tribunal’s decision also found that the Ministry had jurisdiction to make an order regarding existing, ongoing and future adverse effects, that the adverse effects do not have to be related to the potential off-site migration of a contaminant, nor must the contaminant be on an orderee’s property at the time the order is made and that the order may require work on-site and off-site to address an adverse effect. In upholding the Tribunal’s decision, the Divisional Court found that there is no geographical constraint limiting orders to the source property of the contamination and quoted the Tribunal’s observation that “contamination and adverse effects are not constrained by the boundaries of a property, either in initial discharge or because of migration”. The Divisional Court also found that the Tribunal’s interpretation of the Ministry’s order-making jurisdiction is consistent with the Brownfield regime since protection from orders is extinguished under the regime when contaminants migrate from a property that was subject to that regime. The order provisions of s.18(2) of the Environmental Protection Act, R.S.O. 1990, c.E.19 were at issue in this case. This is the first Divisional Court decision interpreting the geographic extent of the powers set out in s.18(2). 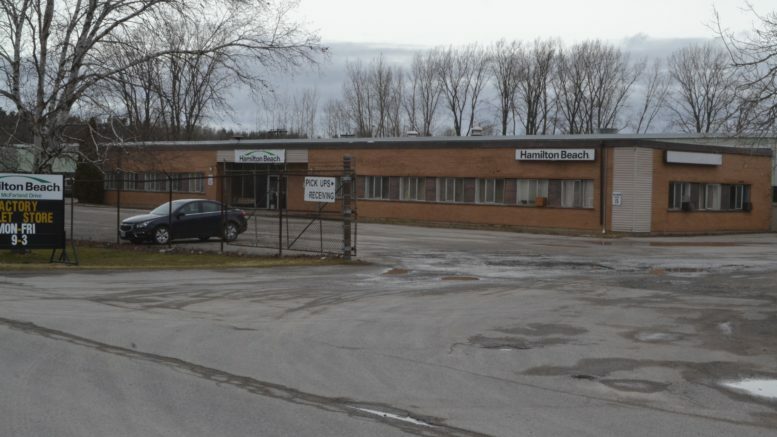 The decision confirms that the powers are expansive and should be considered by any current, former or prospective owner or tenant of a contaminated property. We will continue to monitor this case should it be appealed further. Mr. Berger has practiced regulatory law for 37 years. He represents nuclear operators and suppliers, waste management operators, renewable energy operators, receivers-in-bankruptcy, municipalities and First Nations. He was an Assistant Crown Attorney in Toronto for 8 years, Senior counsel and Deputy Director for Legal Services/Prosecutions at the Ministry of the Environment for 9 years and Assistant General Counsel at Ontario Power Generation Inc for 14 years. He is the author of a quarterly loose-leaf service published by Thomson Reuters entitled the Prosecution and Defence of Environmental Offences and the editor of an annual review of environmental law. Mr. Berger was the President of the International Nuclear Law Association (2008-2009) and the founder, and President of the Canadian Nuclear Law Organization. Mr. Engel practice all aspects of Environmental and Renewable Energy Law. He advises clients in the development and operation of renewable energy projects, regulatory compliance and civil causes of action.He represent clients before Ontario’s Environmental Review Tribunal and all levels of court. He assist clients with defences to environmental and other regulatory prosecutions, appeals of environmental orders and civil litigation involving environmental issues including contaminated lands. Mr. Engel has a Masters degree in Environmental Studies and is Certified by the Law Society of Upper Canada as a Specialist in Environmental Law. Labelmaster (a U.S.-based provider of labels, packaging and technology related to the transport of dangerous goods and hazardous materials), recently announced the results of its annual 2018 Global Dangerous Goods Confidence Outlook. Sponsored by Labelmaster, International Air Transport Association (IATA), and Hazardous Cargo Bulletin, the survey was conducted to gain insight into how organizations around the globe approach dangerous goods shipping and handling, and the challenges they face. The survey covered personal profile information, including: respondent location, most common DG hazard class materials handled, contact role, etc. ; training and DG enforcement concerns; compliance challenges; use of technology; comparison to the 2017 survey results; and other leading industry concerns. 51 percent find it challenging to keep up with the latest regulations. 15 percent were not confident that they can ensure DG regulatory compliance across their entire organization, and 13 percent were unsure. 58 percent feel that even if they follow the regulations perfectly there is a chance their shipments will be stopped. When asked to rank their greatest challenge to compliance: budget constraints (28 percent); company leadership not aware of risk (21 percent); insufficient or ineffective training (19 percent); lack of technology (17 percent); difficulty in keeping up with changing regulations (15 percent). The need for improvement extends to training as well. One-quarter of respondents feel their company’s training does not adequately prepare people within the organization to comply with dangerous shipping regulations. In many cases, the scope of employees being trained needs to be expanded. In fact, 67 percent of respondents believe dangerous goods training should be extended to other departments across their company. 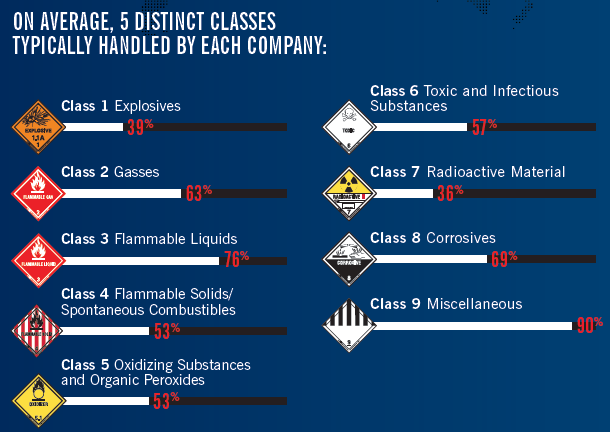 16 percent indicated that dangerous goods compliance is not a major priority for their company. 54 percent wish their companies would understand that supply chain and dangerous shipping management could be a differentiator. Dangerous goods professionals desire additional support: Investment in infrastructure and training is critical to enabling DG professionals to do their jobs effectively and efficiently, and whether their budgets have increased, decreased or stayed the same, DG professionals desire additional support. When asked how they would prioritize financial support from their organization: more effective training (42 percent); technology for better supply chain efficiency and compliance (29 percent); wider access to the latest regulatory resources and manuals (18 percent); additional headcount (12 percent). The cost of maintaining compliance throughout the supply chain, such as expenses for people, compliance products, software & technology, reporting, training, etc. The cost of non-compliance due to errors and lapses, such as penalties, carrier refusal and delays, fines, remediation, higher insurance costs, etc. The opportunities of higher level compliance-enabling differentiation, revenue growth and faster cash flows, such as faster product deliveries, increased brand equity, the ability to offer a wider range of products, etc. This Total Value of Compliance (TVC) framework helps dangerous goods companies make compliance a powerful, revenue-positive aspect of their business. To learn more about the total value of compliance, download a TVC technical brief and schedule a free assessment, visit www.labelmaster.com/tvc. To read the full report, visit www.labelmaster.com/dg-compliance-outlook. Labelmaster helps companies navigate and comply with the regulations that govern the transport of dangerous goods and hazardous materials. 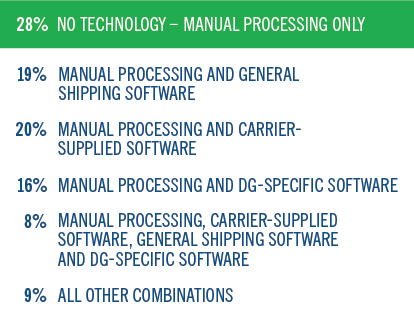 From hazmat labels and UN certified packaging, hazmat placards and regulatory publications, to advanced technology and regulatory training, Labelmaster’s comprehensive offering of i software, products, and services help customers remain compliant with all dangerous goods regulations, mitigate risk and maintain smooth, safe operations. To learn more, visit www.labelmaster.com. The British Columbia Ministry of Environment and Climate Change Strategy is requesting the assistance on B.C. 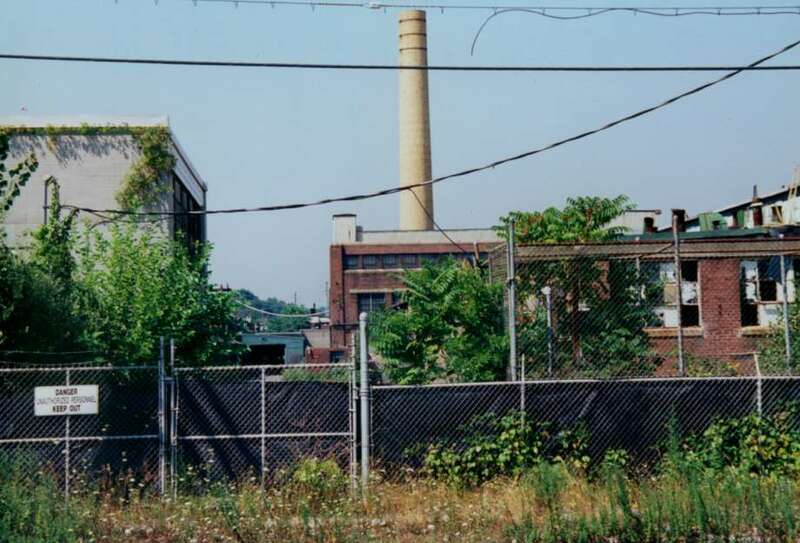 environmental professionals to complete a survey regarding the suite of contaminated site services provided by the Land Remediation Section. The survey is part of an internal Ministry effort to examine and evaluate the ways in which contaminated sites services are provided in support of administering the Environmental Management Act and Contaminated Sites Regulation, and feedback will inform efforts to improve the client experience in obtaining these services. The survey takes approximately 10 minutes to complete, allowing for more or less time depending on how many or few contaminated sites services you use. The survey is open for approximately 6 weeks, and will close on September 5, 2018. Questions regarding the survey can be forwarded to site@gov.bc.ca. U.S. Department of Energy, Office of Environmental Management, Oak Ridge, TN. Recently issued a solicitation for the Characterization, Deactivation/Demolition, and Remediation Services of Low-Risk/Low-Complexity Facilities and Sites for the Oak Ridge Office of Environmental Management. This procurement will be a total small business set-aside under NAICS code 562910, size standard 750 employees. DOE anticipates awarding one or more IDIQ contracts for support services in Oak Ridge, Tennessee, in accordance with the Federal Facilities Agreement. The Y-12 National Security Complex, Oak Ridge National Laboratory, and East Tennessee Technology Park encompass numerous facilities, soils, concrete slabs, containerized and non-containerized debris, and aging legacy waste populations that require investigation and additional characterization to determine appropriate disposal options. The estimated maximum value of the contract is $24.9M for a period of performance of five years from date of award. The full solicitation synopsis is available on the DOE Environmental Management procurement website at FedConnect. An aerial view of the Oak Ridge National Laboratory campus. IMPLICATIONS FOR REAL ESTATE TRANSACTIONS AND ENVIRONMENTAL CONSULTANTS? The long established principle of privity of contract i.e. that the rights and obligations in a contract apply only to the parties to the contract have been further tested by this decision. For engineering consultants, the decision highlights the importance of exacting express disclaimer clauses restricting responsibility for the reporting information to the party retaining them. For purchasers of real estate, it reinforces the necessity of obtaining indemnities from the vendor for undiscovered contamination or if that is not realistic, retaining an independent environmental consultant to verify any consulting reports given to them by the vendor. 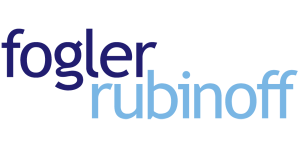 This article was first published on the Fogler Rubinoff LLP website. 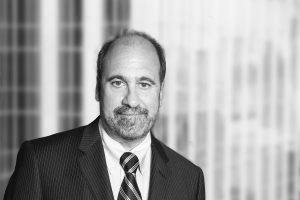 Mr. Stanley Berger serves as the Partner at Fogler, Rubinoff LLP. Mr. Berger joined the law firm of Fogler Rubinoff on July 4, 2013. Before joining Fogler Rubinoff, he served for 14 years as Assistant General Counsel to Ontario Power Generation Inc (OPG). In that capacity he provided legal services on licensing, environmental assessment, regulatory compliance, liability, security, decommissioning and waste management to the Nuclear Division of OPG. 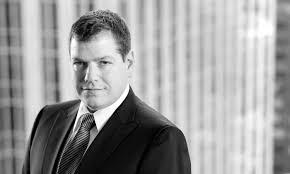 Mr. Berger provided strategic legal advice and representation on aboriginal litigation and participated in First Nation settlement negotiations. Prior to joining OPG, he served as the Deputy Director of the Law Division for Prosecutions for the Ontario Ministry of Environment. In that capacity he managed the prosecution staff and helped shape prosecution policy. WSP Global Inc. will acquire Berger Group Holdings, Inc. (Morristown, N.J.), the parent company of Louis Berger, for $400 million to be financed by an underwritten term loan. Louis Berger is a professional services firm mainly active in the transportation, infrastructure, environmental, and water sectors, as well as in master planning. Louis Berger has approximately $480 million in annual net revenues and $45 million in normalized EBITDA. Its 5,000 employees are mostly in the United States, with U.S. operations representing around 70% of 2018 net revenues (excluding disaster response revenues). The acquisition of Louis Berger will increase WSP’s presence in regions it has targeted for growth, such as continental Europe, and will increase WSP’s exposure to the U.S. federal sector, according to Alexandre L’Heureux, WSP’s president and CEO. ECO Canada recently issued an Environmental Job Market Trends Report that shows that the environmental job market rebounded in Canada last year with 22.7 thousand job ads, reflecting a 9% increase from 2016 levels. On the other hand, total job ads peaked in 2014 at 1.30 million, decreased to 1.07 million by 2016 (a drop of 18%) and slightly dipped in 2017 with 1.05 million job ads, reflecting a 2% decline. Provincial governments implementing climate change plans. The report states that Ontario, Alberta and British Columbia are the provinces that have consistently shown the most demand for environmental professionals between 2014 and 2017. Managers in financial and business services had the highest job ad growth rate with close to 30%, from 1,090 job ads in 2016 to 1,410 in 2017. Agriculture/horticultural workers, technical inspectors/regulatory officers and engineers, with an environmental function attached to the roles, remained the most sought-after positions with 2,870, 3,020 and 2,110 job ads in 2017 respectively. ECO Canada develops programs that help individuals build meaningful environmental careers, provides employers with resources to find and keep the best environmental practitioners and informs educators and governments of employment trends to ensure the ongoing prosperity of Canada’s growing environmental sector.